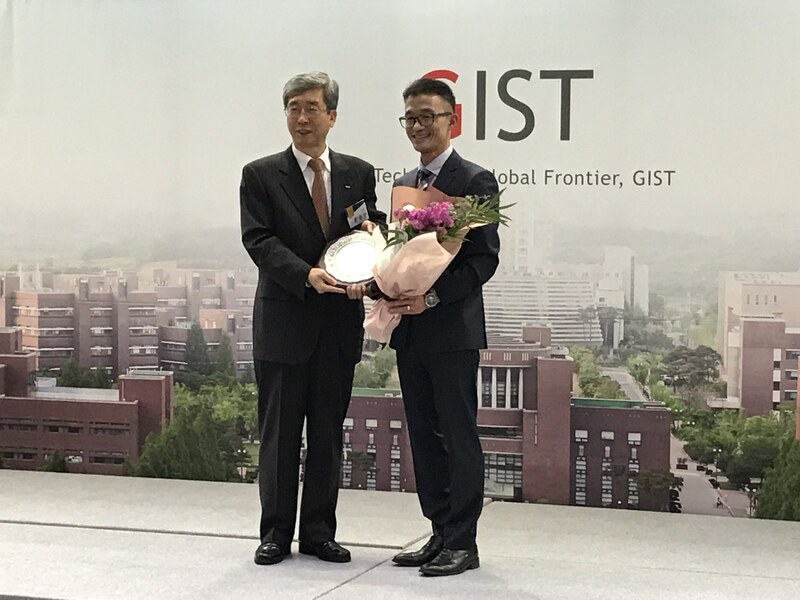 HHP faculty Dr. Beom Chan Lee has been presented with the most distinguished alumni award from the Gwangju Institute of Science and Technology (GIST). The award was presented by Dr. Seung Hyeon Moo, President of the Gwangju Institute of Science and Technology on November 3rd 2017 at a ceremony on the GIST campus. Dr. Lee graduated with a M.S. degree in Mechatronics from GIST in 2014. Dr. Seung Hyeon Moo presenting the distinguished alumni award to Dr. Beom Chan Lee.